The East Coast Blues Festival began in 1990 at the Arts Factory in Byron Bay, New South Wales. It quickly became known as “Byron Bay Bluesfest” and “The Byron Bay Festival” and is now known as “Bluesfest”. At a time when the Maleny Folk Festival (later to be known as the Woodford folk Festival) was only just beginning and festivals such as Big Day Out and Womadelaide did not exist, the Bluesfest pioneered the presentation of blues music in Australia. For the first time in Australia a genuine international and national multi-cultural, strictly music Festival began. Bluesfest featured people from not only an indigenous background, but from many non-European and non-English speaking backgrounds. The event has now grown to a point where people from every Continent appear yearly at the event. Bluesfest remains one of Australia’s most acclaimed and respected Festivals and has been the inspiration for dozens of blues world music and blues and roots festivals around Australia. In 2008 Bluesfest Director Peter Noble, through his record label AIM, was the first ever Australian independent record label to win a Grammy award (USA). Bluesfest defines a new way of describing the wide group of music that was blues music, world music, roots music, a hybrid of those and other cultural styles under one umbrella – Blues & Roots Music. This catapulted Blues & Roots Music – a non-pop music style into the mainstream, whereby the Aria awards within 12 months created the Blues & Roots category as one of their major awards. This is unique to Australia as in the Grammy awards (USA) and the Brit awards (UK) do not have a Blues & Roots award category. Bluesfest has continued to evolve in the new decade, incorporating surf culture, Latino Music, African Music, political and environmental message artists. 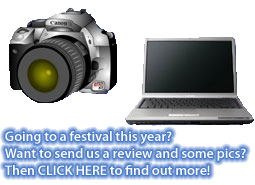 Bluesfest is one of the most highly awarded festivals in Australia. In 2005 and 2006 Bluesfest won the Helpmann Award for ‘Australia’s best contemporary Music Festival’. Between 1994 and 2010 Bluesfest has consistently been awarded Rhythms Magazine readers poll for ‘Australia’s Best Music Festival’. The only year Bluesfest did not win was in 1997 when it came second. The awards Bluesfest has won are unprecedented for a rural event. The music industry is recognized as a low level contributor to carbon emissions (Environmental Change Institute of Oxford, 2008). Bluesfest has traditionally sought to be a leader in sustainability in this already low impact industry. In 2007, 2008, 2009 and 2010 Bluesfest was awarded the international AGreenerFestival, recognizing its outstanding environmental and sustainability achievements. Bluesfest has also been nominated by The international concert magazine Pollstar (USA) in 2005 and 2006 as one of the top five finalists in the category ‘international event of the year’ alongside such major festivals as The Glastonbury Festival (winner both years) and the Montreux Jazz Festival. Bluesfest is viewed as one of the world’s great music festivals. Bluesfest prides itself on being an all ages family event, with female attendances in 2008 (54%) being slightly greater than males (46%), and approximately 28 – 30% of its audience being local.